If you’re a parent who is looking for a great way to immerse your child in history, True Heroes 1781 is an iPad app that’s definitely worth a look. Developed by Jolly Books, this interactive app takes kids on a journey through a colonial village where they learn what life was like long ago. One of the first things I noticed about True Heroes 1781 is that the app encourages kids to explore everything it offers. Children are guided by Blue Skin, George Washington’s famous horse. 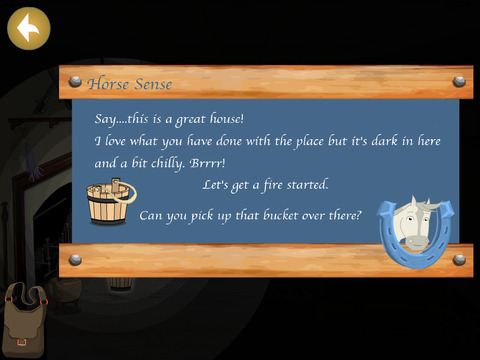 The horse offers tips and hints on how to explore the village, as well as what to do next. I found the pop ups to ve easy to read and instructions are fairly easy to understand. Exploring the colonial village requires kids to tap on various houses and areas in order to access them. In time, kids become acquainted with the different buildings and they’ll be able to navigate the village with ease. Many of the quests are repetitive, such as having to fetch water or start fires. True Heroes 1781 is more than an exploration app, though. Kids can learn what life was like hundreds of years ago and how the simplest things such as light and warmth required quite a bit of effort to come by. Plus, kids can learn about historical facts about George Washington himself. There’s more to the app than just exploring buildings and stoking fires. True Heroes 1781 includes a great assortment of mini games, videos, and neat facts for kids to enjoy. I really like the fact that the games and videos help to break things up and keep kids from becoming bored with exploring. Parents will be happy to know that True Heroes 1781 is free of in-app purchases, external links, and social media integration. This is definitely a safe place for kids to explore and have fun without getting into any sort of trouble or navigating away from the app. If you’re concerned about the price, I think $2.99 is an incredibly fair price for an app that offers as much content and educational value as True Heroes 1781. I think it’s worth every penny and kids will definitely enjoy everything that’s included. 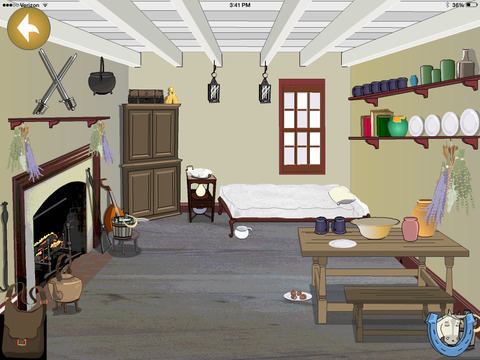 Overall, True Heroes 1781 is a fantastic educational and interactive app for iPad that helps kids learn and understand what life was like in the colonial era of the United States. From exciting tasks to complete and mini games to enjoy, True Heroes 1781 is great for both kids and parents alike. True Heroes 1781 requires iOS 5.1.1 or later and is compatible with iPad.